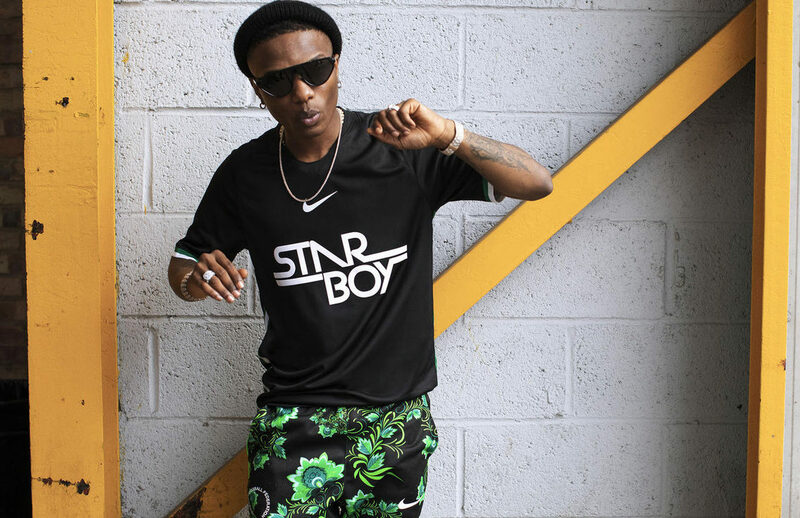 Starboy X Nike: Wizkid’s Jersey Collection In Collaboration With Nike Sells Out In Minutes! It’s 2018 and several years into his career as one of the most talented and most successful Nigerian artists, Wizkid is still winning! 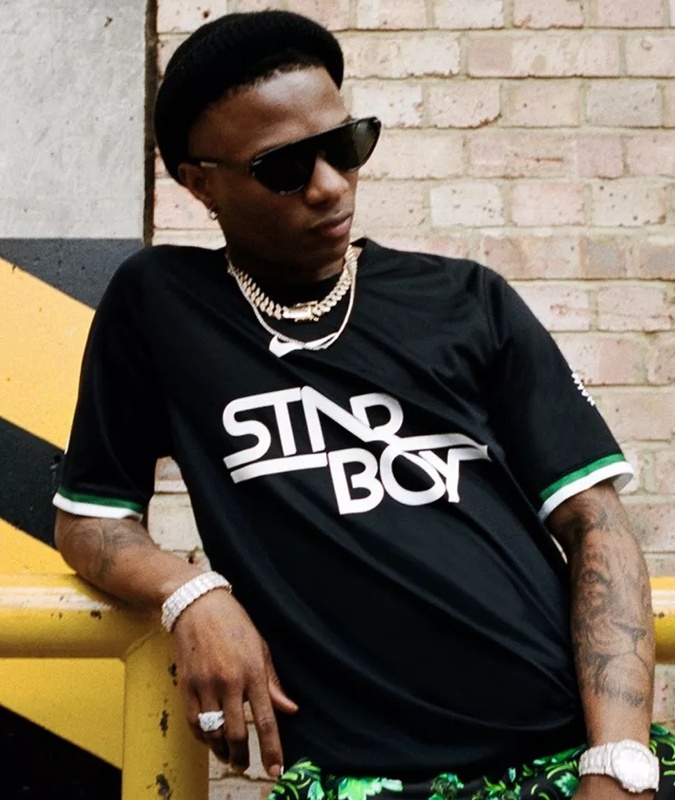 With several releases that are still topping the charts, walking down international runways, walking in hand with one of the world’s greatest supermodels, Naomi Campbell, and most recently unveiling a new collaboration with multinational giant Nike, you can say 2018 has been the Starboy’s best year yet. 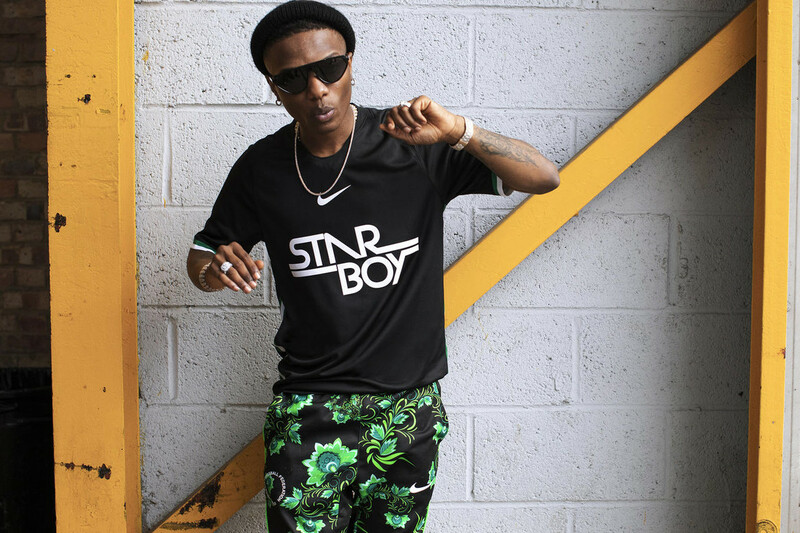 The Starboy X Nike collaboration was announced a couple of weeks ago: the launch of a jersey/stadium shirt collection which has the singer’s record label Starboy printed across the jersey’s front, a green and white trim across the sleeves and a Naija graphic on the sleeve to reference Nigeria, as well as the name of the singer’s hometown Surulere on the back of the top. All this goes to show that even at the peak of his success, Wizkid is still very much in touch with his roots and remains loyal to representing not just Nigeria but Lagos and Surulere worldwide with every step he makes towards greatness. Nike had announced that the jersey will be available on Nike.com starting today, Monday, September 10. Not too surprisingly, the pop star took to the Gram this morning to announce that the jersey which retails for £64.95 sold out in ten, that’s 10, minutes! 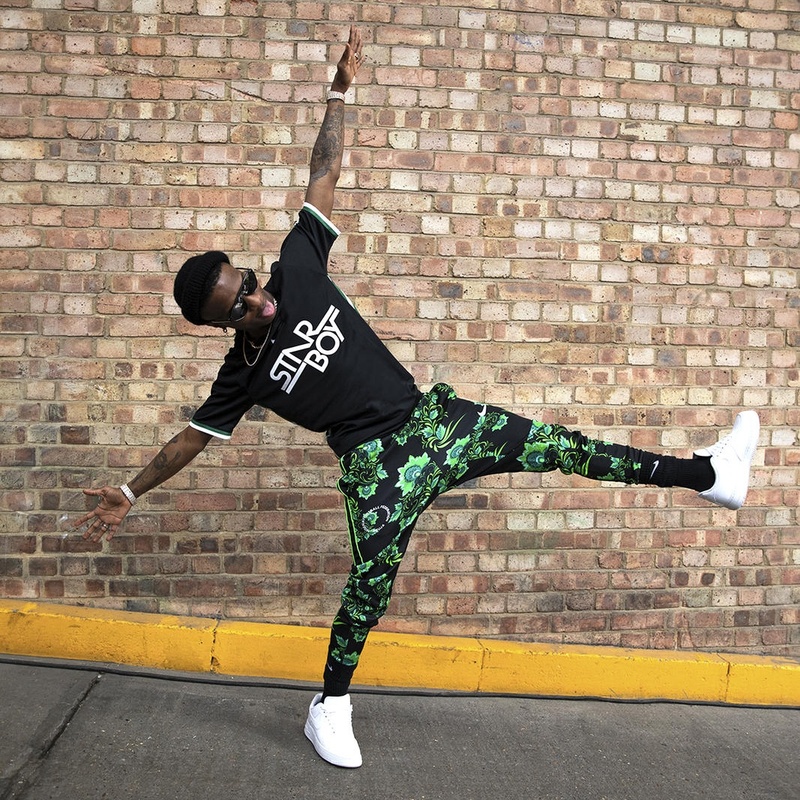 We are hopeful that Nike will restock on the stadium shirts soon but until then, here are more shots of Wizkid modelling his iconic designs.